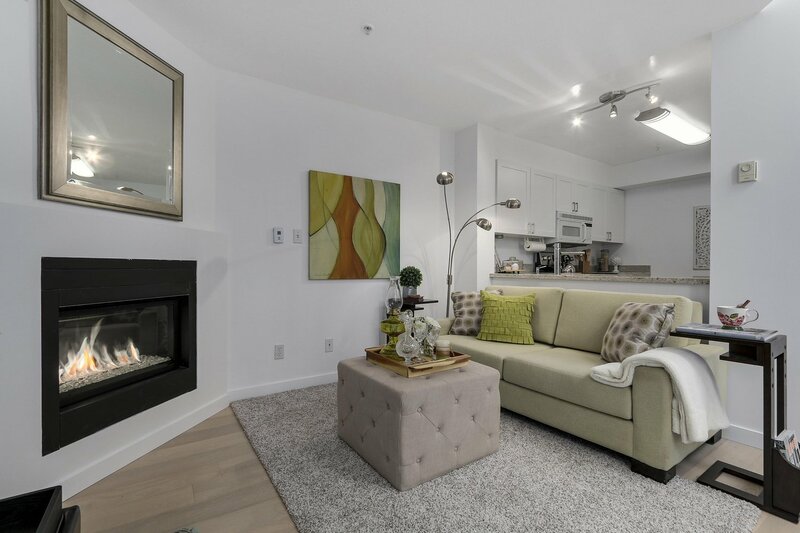 Welcome to Laurel Bridge complex, in the quiet and central Fairview Slopes! 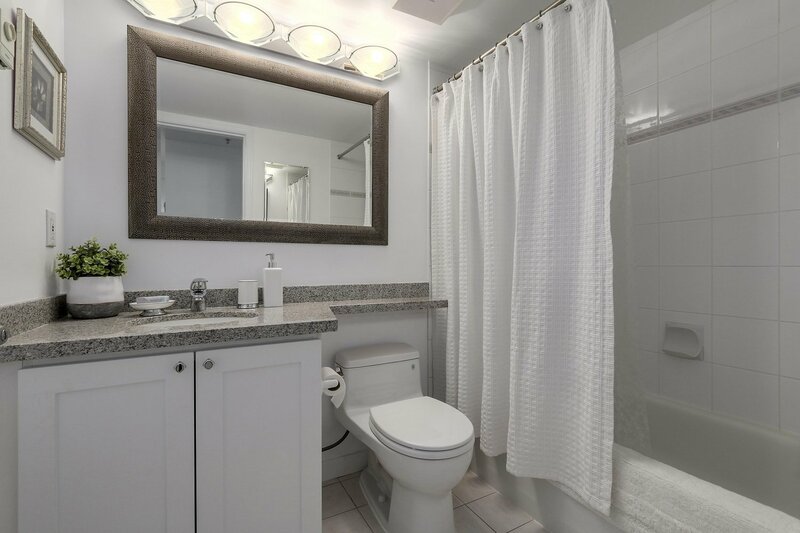 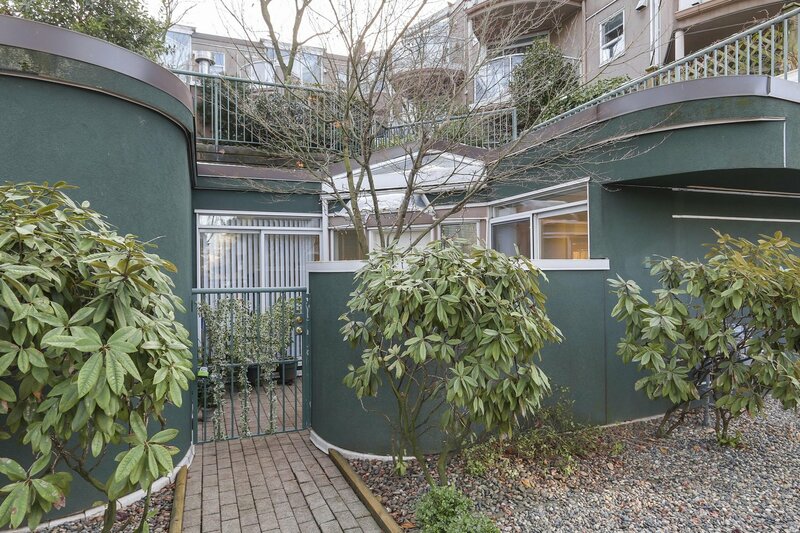 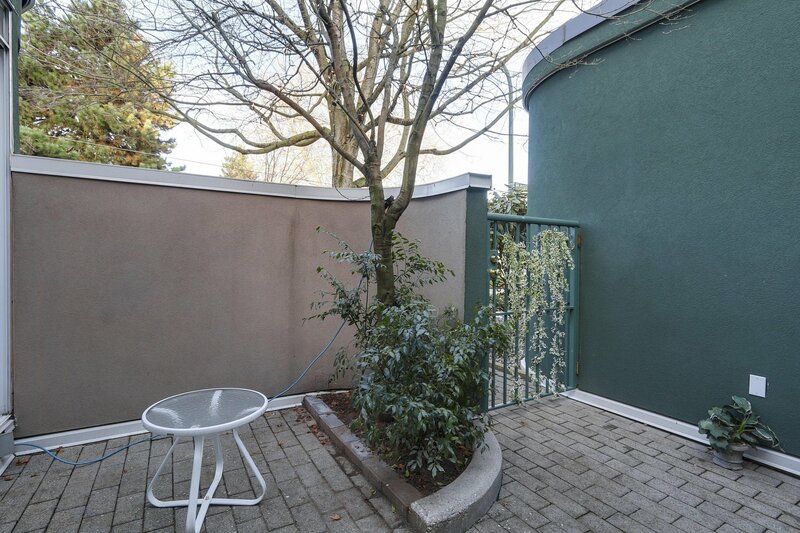 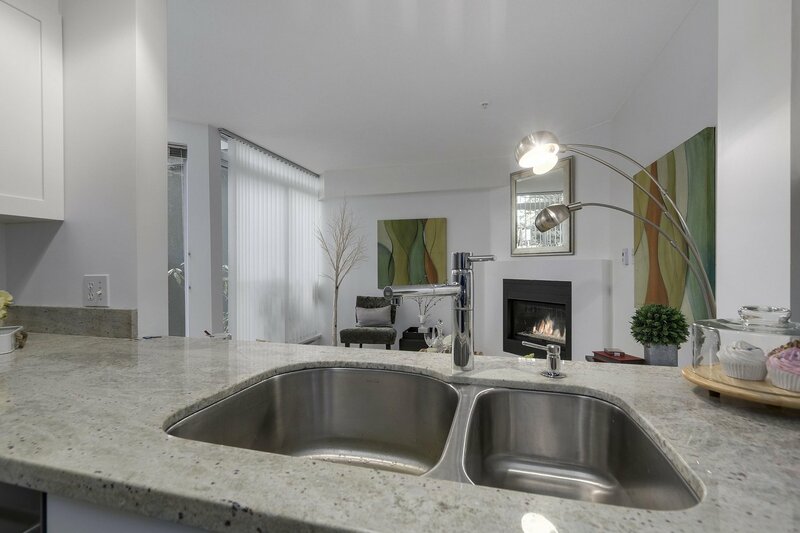 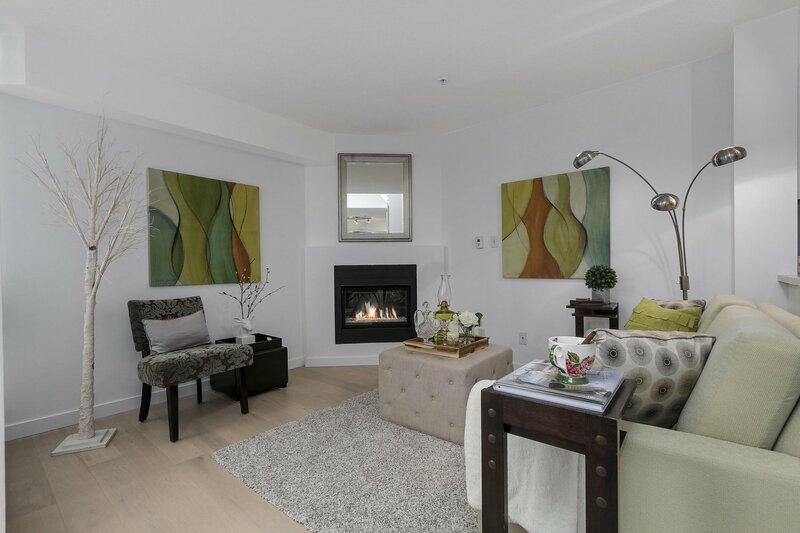 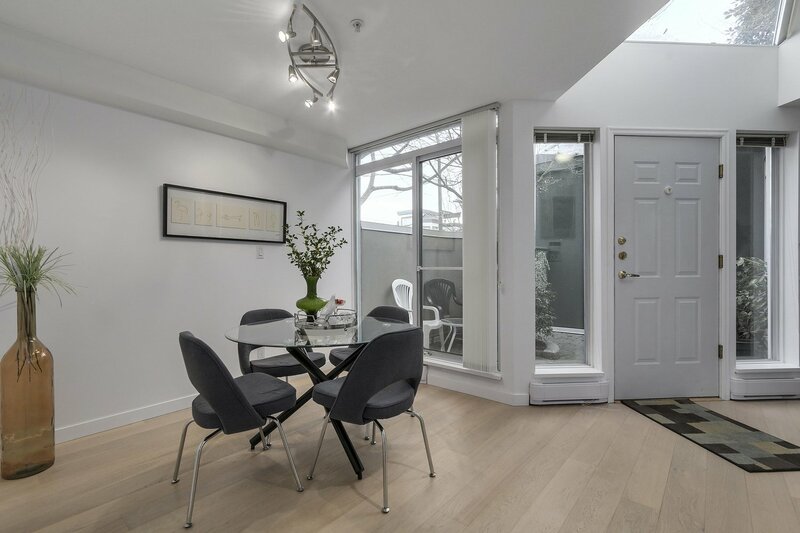 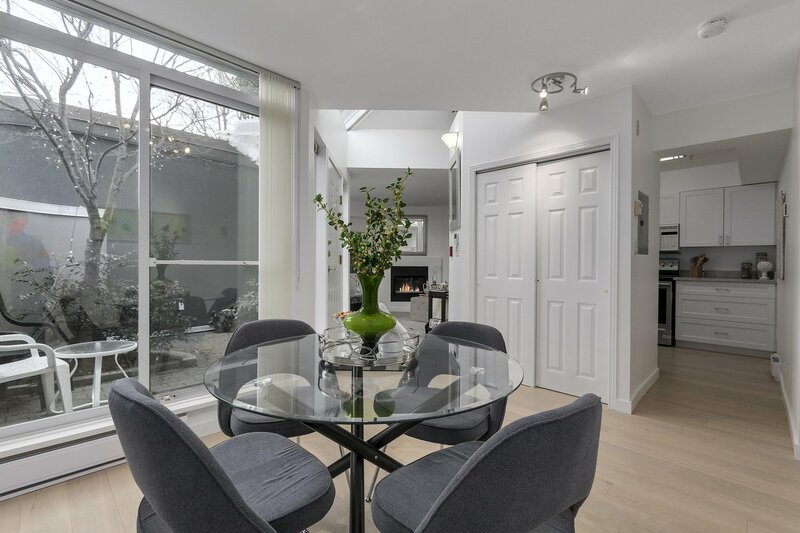 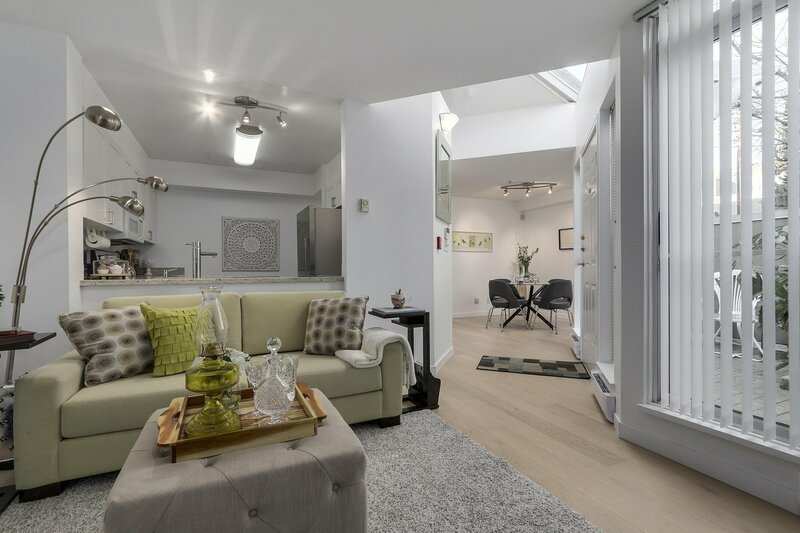 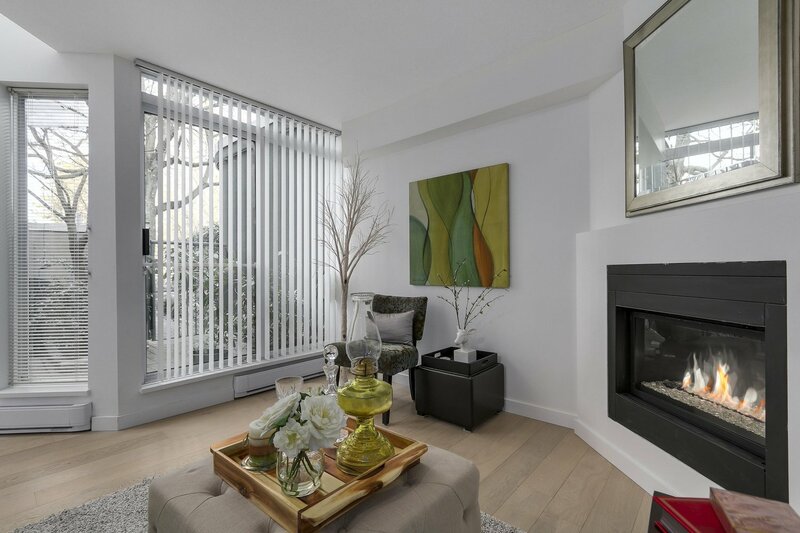 This completely renovated townhouse-style condo is modern and move in ready! 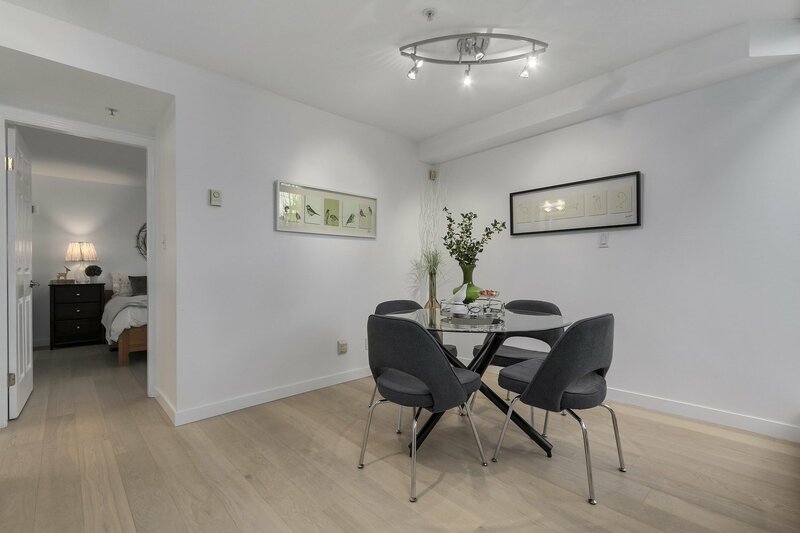 Well appointed 1 level, 1 bedroom, 1 bathroom feels open and spacious with 674 sq ft inside, a private 117 sq ft outdoor patio and a large bedroom with walk-in closet. 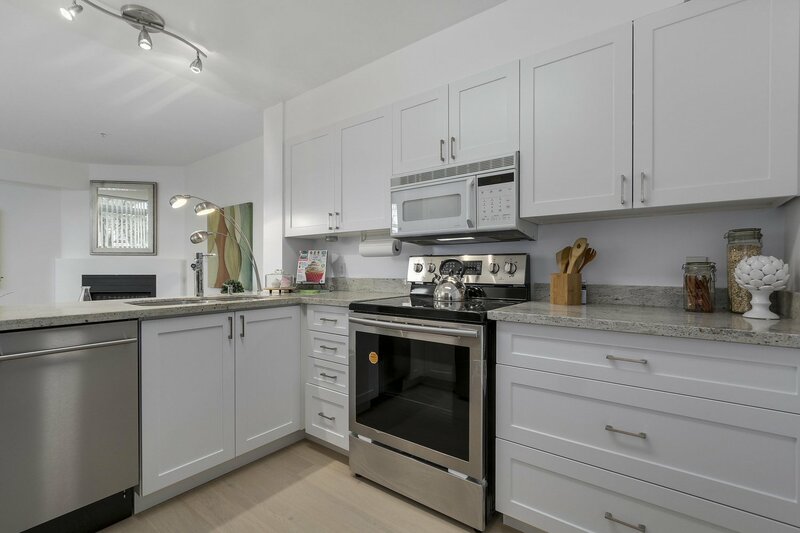 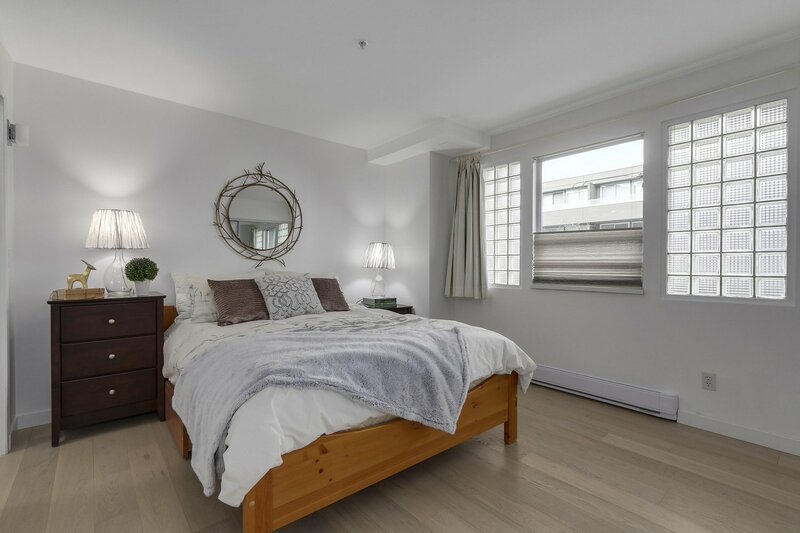 The complete renovation includes brand new high end appliances in the kitchen, granite countertops, light hardwood floors throughout, sleek gas fireplace, in floor heating in the bathroom and all new paint and light fixtures. 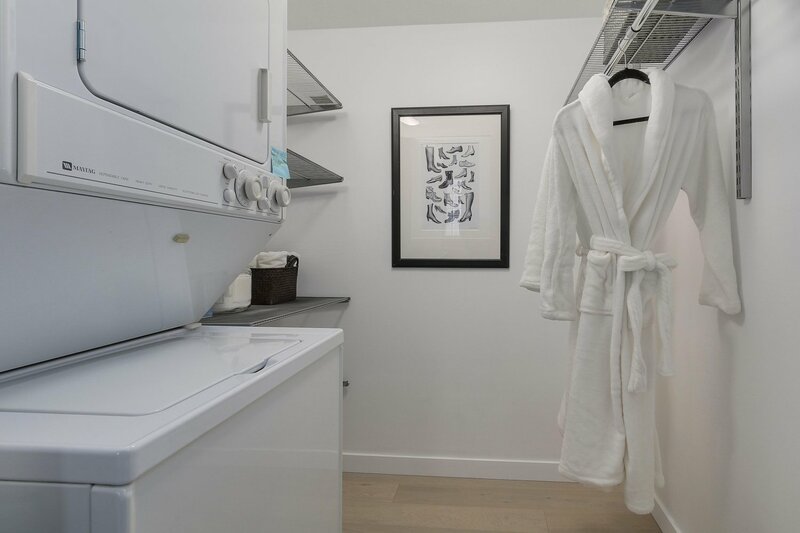 The property includes in suite laundry, and 3 parking stalls for the entire family and even visitors. 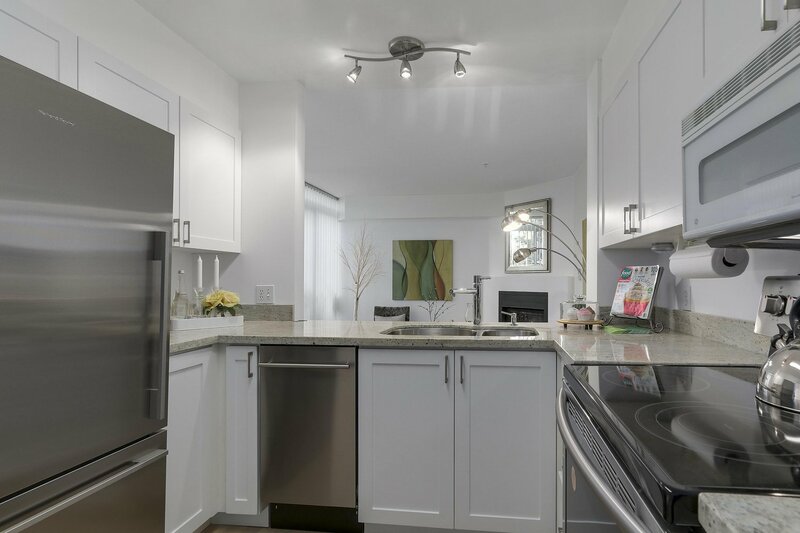 A must see - easy - OPEN HOUSE Sunday 2:45-4PM - Easy to show!